Lignin, the stuff that prevents all trees from adopting the weeping habit, is a polymer made up of units that are closely related to vanillin. When made into paper and stored for years, it breaks down and smells good. Which is how divine providence has arranged for secondhand bookstores to smell like good quality vanilla absolute, subliminally stoking a hunger for knowledge in all of us. 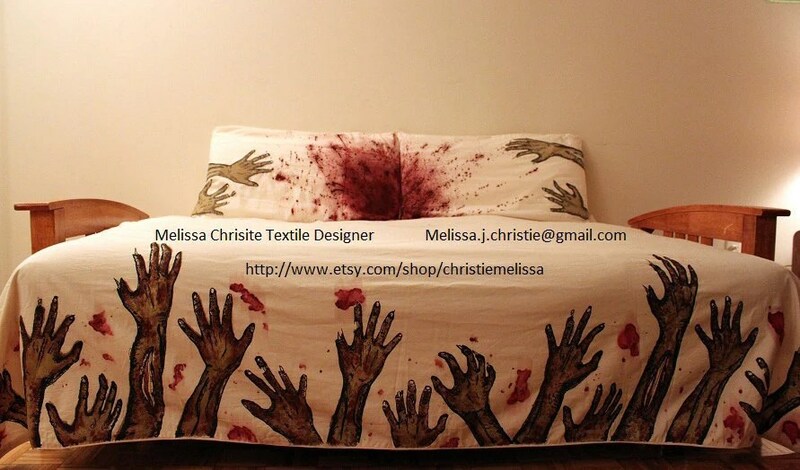 I love Etsy almost as much as I love Regretsy. You can get amazing and unique gifts, and all the profits from your purchase go straight to the person who made it! Here are my current five favourite bookish accessories. Click through for more information! Tiny Book Earrings by TheIdleBindery. Harry Potter ‘Always’ Haircomb by KyraBothwell. 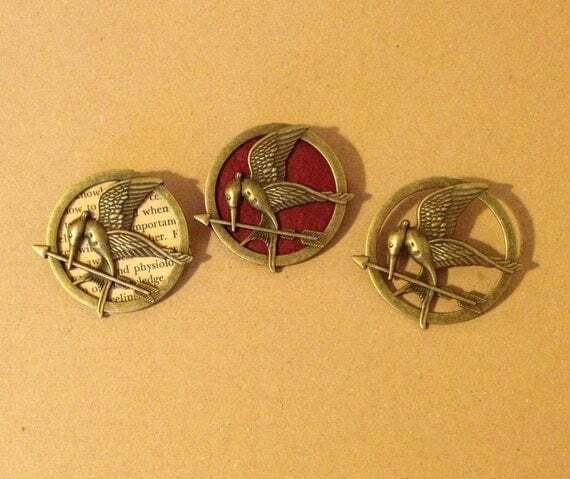 The Hunger Games Mockingjay Pins by Gliterature (that’s me!). ‘I Found My Love In A Book’ Necklace in Blue by BeneathGlass. Miniature Bookcase Necklace by JanDaJewelry. Were there any that I missed? Let me know in the comments! Categories Art Attack, Conform, Consume, Obey. BOOM! Aren’t they neat? There’s something vaguely amusing about looking like you’ve stepped right out of a graphic novel whilst receiving a non-fatal blow to the head. …Maybe that’s just me. 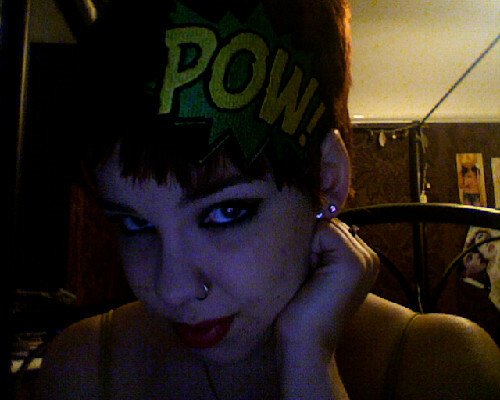 On a side note, I was wearing one of these when Laurie Penny told me I looked like Tinkerbelle. Just sayin’. You can buy one of these muthas from janinebasil’s Etsy store.